Adtran, a provider of next-generation networking solutions, is unlocking closed, single-vendor access networks to bring FTTx into line with the open, standards based approach common across all other broadband media. Adtran showed its commitment to openness with its range of products, interfaces and interoperability demos showcased on its Broadband World Forum booth, in London, last month. New Universal 10G ONT Portfolio for both FTTH and FTTB – Launched at BBWF, a new generation of 10G ONTs for a variety of residential and business applications, including SFU, MDU and SME. Supporting open, SDN-based API and RESTful interfaces allows full functional support on any 3rd party broadband infrastructure. 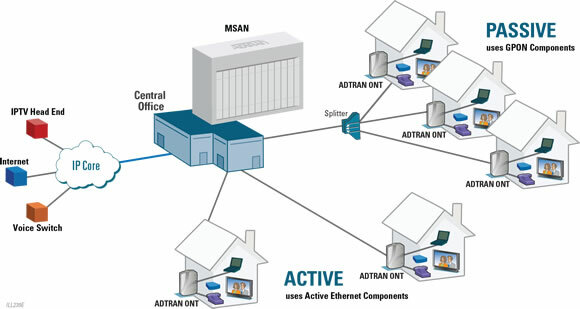 Open OLT & ONT Interfaces – Adtran says it is the only vendor providing both universal third-party ONT and OLT interoperability support on its broadband solution.